What is Next for NXT After TakeOver: New York? NXT TakeOver: New York is barely in the history books, yet the question already needs to be asked of what is next for NXT. With established stars moving up to the main roster there are questions over the level of talent remaining in NXT and how this will affect each division over the next year. Johnny Gargano finally won the elusive NXT Championship in what can only be described as an instant classic with Adam Cole in the main event of the frankly amazing NXT TakeOver: New York, but the victory highlights the dearth of top-level competitors currently wrestling in NXT. This was apparent prior to Adam Cole winning the Fatal 5-Way as both Ricochet and Aleister Black were primed for promotion to the main roster, whilst both Velveteen Dream and Matt Riddle were embroiled in their own upper midcard rivalry. 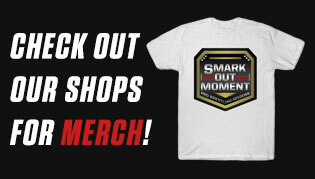 The unfortunate injury to Tommaso Ciampa has highlighted the reliance on the former DIY team members without truly establishing anyone else as a credible threat. And the remedy to this issue? Unfortunately, there isn't an immediate answer other than accommodating for a rematch between Gargano and Cole (hopefully without interference from The Undisputed ERA) there doesn't seem to be a credible heel that can realistically challenge for the NXT Championship. 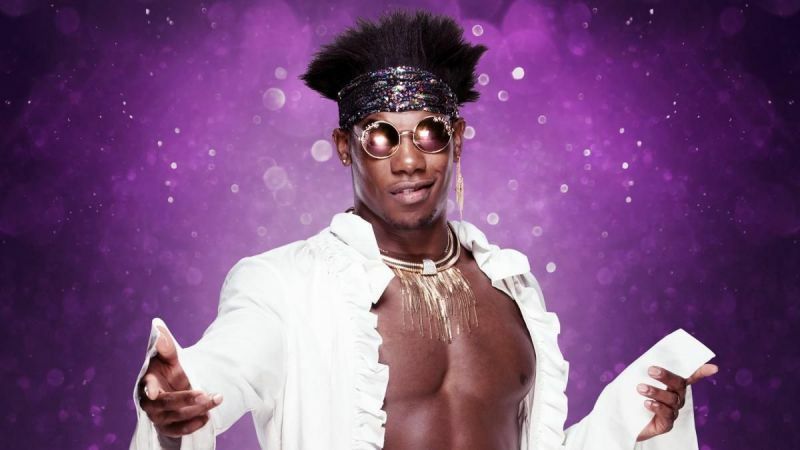 Velveteen Dream has previously been built up as a realistic contender to the NXT Championship, but he feels more comfortable in his current position as NXT North American champion and someone whom Full Sail fully connect with fully. His gimmick was doomed to fail, but the sheer charisma that Dream oozes and his undying commitment to the role has permanently endeared himself to the fans. A heel turn wouldn't be an option for Dream as it would alienate the fans. If this was the road WWE were considering, it surely would have resulted in Matt Riddle claiming the NXT North American Championship, but this in itself suggests that WWE don't have faith in Matt Riddle in his current form to be pushed heavily. The arrival of KUSHIDA, however, throws up an interesting question, as it is unclear what role he will play in the coming months in NXT. He competed as a Junior Heavyweight in NJPW, but it is believed he left to join WWE due to the fact he wanted to compete as a Heavyweight and NJPW felt it wasn't something they could get behind. 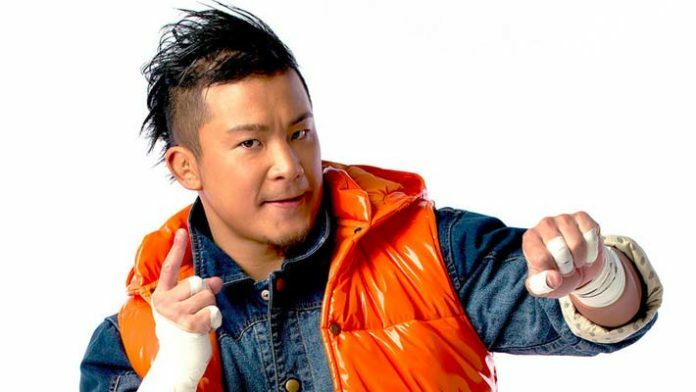 If WWE have promised KUSHIDA a role as a heavyweight within NXT—where weight classes aren't an issue—he may be pushed closer to the NXT Championship scene than the NXT North American Championship, especially if his Puroresu style will complement Gargano's style well. A face vs. face option may work well, but to ensure full investment in any storyline, it would be best served to turn one of them heel. With KUSHIDA's boyish good looks and Gargano's recent stint as a heel, it may be better to return to the edgier Gargano character that fans connected with, particularly if he adopted Ciampa's obsession with the NXT Championship and viewed it as an extension of himself. The solution to the main event picture could be to increase the spotlight on upper-midcarders such as Matt Riddle, Roderick Strong and Velveteen Dream, in addition to moving former NXT stars to the roster such as Luke Harper and Tyler Breeze. That would inject life into their stale characters and give them far more purpose than they currently have. Signing a huge free agent isn't currently possible, as MLW, AEW, ROH and Impact Wrestling are all signing their stars to exclusive deals. Pickings are scarce for a big name that could generate a buzz. However, Pete Dunne (fresh off his 685 day reign as NXT UK Champion) is better than a free agent, as he is not only comfortable with the WWE style, but is capable of 4 to 5 star matches without breaking a sweat. The credibility he has from his championship reign is more than enough to instantly elevate him to a main event program with Gargano, and if he reintroduced his heel persona, NXT would be able to advertise a true face vs. heel match with wrestlers the fans will more than be able to get behind. Mr. TakeOver vs The Bruiserweight is enough to have any Full Sail regular salivating. Velveteen Dream is settling in comfortably as one of the most over acts in NXT, and it appears trusting him with the North American Championship is starting to yield positive results as he produces 4-star match after 4-star match. For someone who came up from Tough Enough, Dream has the "it factor" and is surely a wrestler WWE can depend on for many years to come. It's interesting to note that as much as people want to see Dream promoted to the main roster, it is unclear what his future would hold. Nearly all NXT wrestler promotions have failed in one way or another. It is possible Dream's overtly camp and sexually ambiguous gimmick could be misused on the main roster, especially in ways that can gain cheap heat through simply being a camp wrestler. If Triple H is able to protect Dream, he will work superbly, but it is definitely a case that the devil you know may be better. Matt Riddle arrived in NXT with much fanfare and his bro character seems to resonate with the fans, but there seems to be something missing from his repertoire. Namely, this is his lack of real promo skills outside of coming across as a cool stoner-type character. His wrestling ability more than makes him a viable contender to the North American Championship (as evidenced by his showing at TakeOver: New York) but perhaps Dream keeping the title around his waist is for the best. The amazing thing about the upper-midcard scene is the believability of the wrestlers who are able to battle for the NXT Championship or chase the North American Championship. Adam Cole may decide to reclaim the championship which he was the inaugural winner of to assert the dominance of The Undisputed ERA or KUSHIDA may arrive and immediately set his sights on the North American Championship before graduating to an NXT Championship program. War Raiders have taken to NXT like a duck to water and their unique imagery is a big part of why fans like them so much. They are hard-hitting and use interesting moves that you would expect men of their size would be unable to use. No more is this on display than their NXT Tag Team Championship match against Ricochet and Aleister Black at TakeOver: New York with War Raiders attempting to out-maneuver the departing duo with similarly athletic rolls and moves. The fans reacted, and they will continue to do so, as they are such a convincing and interesting team. So who could rival them in the future? This would realistically be The Street Profits, but in order to be realistic challengers they will need to be rehabilitated with an extended run of wins against lower card teams. Despite holding the Dusty Rhodes Classic each year in NXT, outside of The Undisputed ERA, it feels as though there is a lack of credible options. The Undisputed ERA challenging War Raiders doesn't feel fresh enough yet, so they could be used as a way of costing The Street Profits the championships without completely killing their potential. A War Raiders vs The Undisputed ERA feud could be gripping with the right build, and a potential third team in The Street Profits could lead to multiple scenarios where we have interesting matches and potentially multiple changes of the championships to create the idea that anything can happen in the division. It would be best for NXT to focus on War Raiders as their all-conquering champions, especially if the end of their reign would be to a team that has been built up as meaningful and credible challengers. That is, unless we are treated to the return of The Authors of Pain, who would be better suited to a second run in NXT rather than treading water on Raw or SmackDown. Shayna Baszler retaining at TakeOver: New York was a surprise, as it was felt she would lose and be promoted to the main roster. However, this is only to the detriment of Raw or SmackDown, as Baszler has transitioned from an awkward wrestler to one of the best women NXT has produced. Her Queen of Spades character is compelling and she remains the most convincing wrestler in the women's division, as her performances would not look out of place in an MMA fight. Convincing and compelling wrestling has been enough to allow Baszler to provide the same level of dominance and intrigue that Asuka had when she was NXT women's champion. Bianca Belair has been built up as a credible threat and has a unique look in the form of her increasingly lengthy hair, but it remains unclear if she is someone to build the division around. Unconvincing matches and a severe lack of an interesting character work against her. Kairi Sane and Io Shirai are incredible Japanese wrestlers and connect with Full Sail fans, although it has been rumored they will be brought up with Paige to SmackDown as part of the Superstar Shake-up. If they do remain in NXT, though, they can both act as the face opponent to Baszler's heel act. Japanese wrestlers seem to thrive in NXT and these two are no different. Granted, the NXT women's division is not as good as it once was. Four Horsewomen, I'm looking at you. But it does have enough talent to produce interesting matches, and with the right development, anyone can present as an intriguing foe to Baszler. An X-Factor may arrive in the form of Piper Niven, as she was one of the best unsigned women's wrestlers outside of WWE. Despite being scheduled to join NXT UK, she could easily transition to NXT after a few months and be the conquering face that defeats Baszler to send her packing (deservedly) to the main roster. Watch this space, as Niven will definitely have a role in NXT by WrestleMania 36. At the end of the day, NXT is a developmental product and it is important to always view it as such. As a result of producing consistently strong TakeOver cards, the strongest and most compelling wrestlers will always be promoted, and it is Triple H's job to identify able replacements to grab that so-called "brass ring" and display the skills to take them to NXT glory. The WWE Performance Center is an amazing facility that needs to produce more homegrown talent in the same vein as Velveteen Dream. Tino Sabbatelli springs to mind as a Performance Center regular who needs to make the transition to NXT regular. In order to make NXT TV consistently compelling, we need these home grown talents to get behind. Seasoned wrestlers arriving from independent promotions can only work for so long. 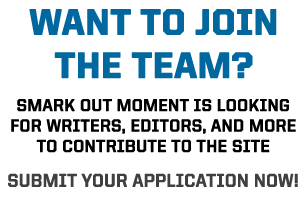 Just like any sports team, NXT needs to build a strong foundation for the future with their talent development program. The fact that a large proportion of the current Raw and SmackDown roster are former NXT wrestlers speaks volumes for the strength of NXT and how it benefits WWE as a whole. In order for this to continue, Triple H needs to constantly be aware of the hidden talent he has at his disposal. Moving wrestlers to NXT from the main roster is an option that could benefit each party involved. Rarely-used talent who could be a viable threat in NXT would receive more time to show their skills and show the greener wrestlers how to hone their craft. Ultimately, NXT will always retain it's quality because Triple H is the mastermind behind everything. Triple H the wrestler may be tired and past it, but Triple H the booker remains one of the smartest minds in the industry. With his desire and determination, there is only one truth: the future is bright and the future is NXT!